If you are a romantic and love unique experiences, a drive-in theatre is definitely on your bucket list or has been a must-do activity in the past. There are so many classics- books as well as movies that have portrayed the experience of watching a film at a drive-in as so dreamy and special that many of us actually sigh thinking about it. But who came up with the idea of drive-in cinemas? What is it exactly and where are they now? The Drive-in theatre, initially called Park-in Theatre, was the brainchild of Richard Hollingshead, who tried coming up with a solution to his mother’s complaints of not being able to sit comfortably in a movie hall. He came up with the idea that patrons could be comfortable in their own cars and still be able to watch a movie. He experimented with various screens and speakers in his own driveway before going on to patent the idea of the Drive-In Theatre. Drive-in cinema popularity was at a peak in the late 1950s. Numerous drive-in cinemas started springing up all over America. It was a convenient option to watch films especially for big families or for those having children to look after. It was also an affordable option for date night. The All-Weather Drive-In of Copiague, New York was then one of the largest open air cinemas that could fit 2500 cars, had a kid’s playground and a restaurant. 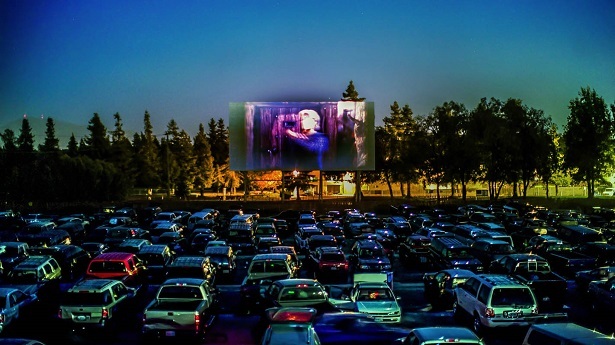 A drive-in theatre is basically a form of cinema that consists of a huge outdoor screen, a projection booth and a large parking area for automobiles. You watch movies on the large screen just as you do in a regular cinema hall, except you sit in your own vehicle instead of sitting inside a movie hall. So all you have to do is park your car in front of the screen and enjoy the film in the comfort of your own private space. Simple! But then what about the audio? 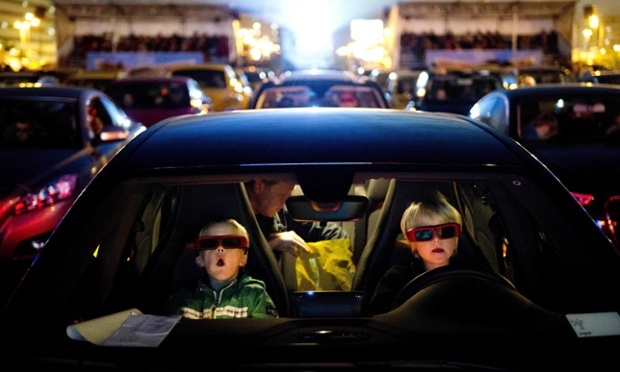 Is the drive-in theatre as loud as or maybe even louder than traditional cinema halls? Definitely not…that would be way too much sound pollution right? Initially, the drive-in did have sound coming from the speakers next to the screen but it was not clear and also caused a sound delay for people in the rear end of the parking area. Then people moved on to personal speaker sets hung onto car windows to listen to the dialogues and music. With time, this changed further and audiences could now listen to the movie by tuning their car radios to a particular frequency on which the theatre would broadcast the audio. So how come such a unique and fun experience went out of fashion? Drive-in theatres could never compete with traditional cinema halls in the number of shows that could be screened. 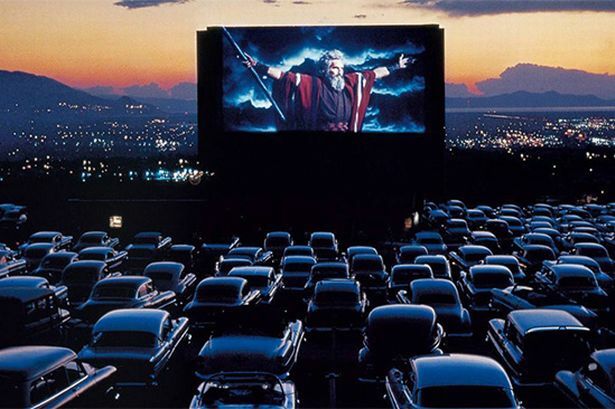 As a film could be projected outdoors only in the evenings and only when weather permitted, resulting in just one or two shows per day; movie studios sent their first-runs to movie halls instead of drive-ins and so drive-ins had to screen B grade movies at times. Another important reason for decline in drive-ins was land cost. Prices of land increased with time and large plots were no longer available or too expensive to be used for movie theatres. The concept of video rentals and the invention of the VCR too contributed to the decline of drive-in theatres as a large group of family and friends could watch a movie at home without paying for each person outside. In the 1970s the daylight saving time concept was adopted which led drive-in cinema shows to start an hour later. Also, some drive-ins were screening X rated films to keep business running and make up for low income. It also became the go-to place for couples who wanted some intimate personal time. The drive-in theatres thus earned a bad reputation for themselves which put them further out of business. Today, there are only a handful drive-in theatres remaining in every country and one cannot say how well these may be running. The idea definitely has merit and can indeed be a fun experience but there seems to be no solution to the issues that lower business for these drive-in cinemas. It is possible, that even the few drive-ins that remain in the world today may soon close down. Read This Before You Regret Buying Something! 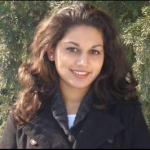 I am a freelance writer and poet from India. I have a Bachelor’s degree in Economics, a Diploma in Liberal Arts and a Master’s degree in English. I am a voracious reader and language enthusiast. I have been teaching French for many years. I am also a dancer, foodie and crazy dog-lover. I am passionate about books, movies and music as well. I am the author of two poetry books- 'Solitary Reflections' and 'Loving a Soldier'. I love to discover new lands and cultures. I have travelled across Europe and I am looking forward to visiting many more places in India as well as in other continents. I dig up interesting and unique topics from different domains and share it all with readers through my blogs and articles.